The Hurricane band is from the East San Francisco Bay Area. 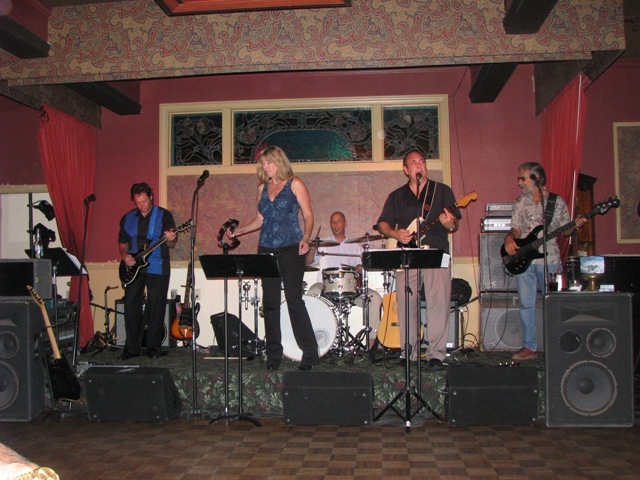 Originally formed as the "Hurricane Blues Band" in 1994 the band has been playing music in the East Bay Area for the past 15 years. The Hurricane Band produced its first CD 10 years ago and has also been featured on the Pat Meadows “Blues on Tap” radio program on KEGR FM 97.7 out of Concord on Thursday nights. The band has undergone several personnel changes over the years until 2008 when the new and improved Hurricane was formed. The force of the Hurricane is driven by a five piece band that combines both male and female vocals. The result is a collage of sound reflecting the best in blues, classic and contemporary rock. The Hurricane is a high energy fun band. Lead Guitarist Fred Musser has a remote on his guitar that enables him to go out into the crowd and dance and interact with the crowd while he plays his guitar. Lead singer Joanie Davis can really belt it out and she has a remote microphone which she uses to go into the crowd and gets the crowd to sing along on some of our songs and have fun. The Hurricane is the perfect choice for special events, wineries, weddings, clubs, private parties and corporate events etc. We can also DJ and make special announcements at your wedding, party or special event. Come feel the fun and excitement and let us make your next event exciting, fun, special and successful!